**Note, while this Treatment Guide is up to date with our Physiotherapy Method and Research, our team has changed slightly, so you may see different people in the photos compared to who is currently at the Clinic. How to kiss your pain, discomfort and physical limitations goodbye with holistic treatment proven to get lasting results… even if nothing else has worked for you. The unique process for pinpointing and treating the root cause of pain or injury – rather than just symptoms – ensuring you make a full recovery and can get back to doing the things you love most. Is Your Body Holding You Back From Doing What You Love? Whether it’s your work, hobbies, playing with your kids, or even just day-to-day tasks, when your body isn’t operating as you need it to, it can have a crippling impact on your life. 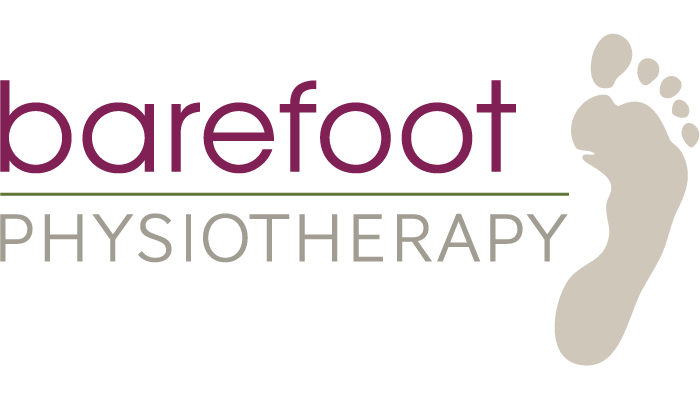 For the past 4 years, Barefoot Physiotherapy has been helping countless individuals (from all walks of life) rid their bodies of pain and limitation so they can get back to doing what’s most important to them. “The Barefoot Treatment System” is a 12-Page Guide that reveals how Barefoot Physiotherapy consistently help clients transform their quality of life with lasting relief from pain and physical limitations… allowing them to quickly return to doing what they love. Written by Sal Oliver Lange, Director and Principal Physiotherapist at Barefoot Physiotherapy. Sal has been a physio for 9 years and worked as a Physio Assistant, Sports Trainer and Senior First Aid all through uni – that’s 14 years in the industry! She has helped people from all walks of life overcome physical pain and limitation with holistic treatment that focuses on dealing with the underlying cause, not just the symptoms. A 41yo male felt a pop while benchpressing at the gym, resulting in excruciating shoulder pain for 7 weeks without improvement. He came to Barefoot as a last resort before surgery. In 2 weeks he was back in the gym with full range of motion and zero pain. A 30yo female re-aggravated a slipped disc injury from years ago, bringing about lower back spasms and preventing her from moving at all without sharp pain. After 4 sessions across 5 days, she was as good as new, returning to work after the first session, and back in the gym a week later. No one should have to just “live” with nagging pain and discomfort, so take action now while this is at the front of your mind. (And before you forget there’s a very real solution available that actually works). P.S. If you are suffering from any form of pain or injury, you’ve probably already figured out it’s not getting any better on its own. If anything, it’s only getting worse over time. If you’re ready to put an end to that and start moving toward a speedy recovery, take the first step today — claim your free copy.